Fennel is native to southern Europe and the Mediterranean area. Fennel is an aromatic and flavorful herb with culinary and medicinal uses with a mild but distinctive licorice flavor and fragrance that look very similar to a dill plant. Fennel belongs to the umbelliferae family and is therefore closely related to parsley, carrots, dill and coriander. Although it still grows wild in surprising places, fennel is cultivated extensively in the U.S., France, India, and Russia. Fragrant fennel oil is used both to flavor sweets and perfume soaps. Fennel is crunchy and slightly sweet, adding a refreshing contribution to the ever popular Mediterranean and Italian cuisine, be sure to add this to your selection of fresh vegetables. Fennel is one of the most underutilized vegetables I can think of, and it also happens to be one of my favorites. 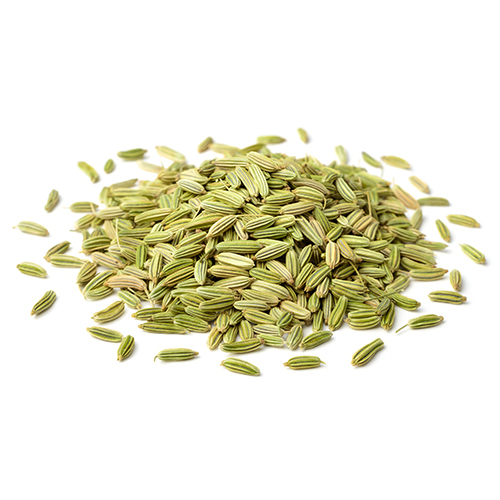 Fennel seeds are popular in both sweet and savory dishes. When raw, the texture of fennel is cold and crisp. Take advantage of the refreshing crispness by thinly slicing the bulb into salads or slaws. Fennel leaves can be chopped up and used to flavor any number of dishes, either hot or cold, much like you would use any other culinary herb. Use it in dishes that also feature citrus, or in any dish that reminds you of spring. Of course, fennel fronds also make a beautiful, feathery garnish for dishes containing fennel. Fennel seeds are a component of the Chinese five-spice. If you do not like licorice, you might not want fennel to play a starring role on your dinner plate, but do consider using it to build background flavor in a stew or a braise. I think you’ll be pleasantly surprised. Fennel plant cannot grow in the shade. It requires dry or moist soil and can tolerate drought. The plant can tolerate strong winds but not maritime exposure. Fennel flowers from August to October, and the seeds ripen from September to October. Fennel bulbs take about 12 to 14 weeks from seed to harvest and depends on cool weather for bulb development. If the weather becomes unseasonably warm, all fennel will bolt, which means it will produce flowers too soon and the bulb won’t form.